I'm fairly new to the Instagram world, but I knew I wanted a way to display my Instagram photos on my family's blog. Instagram allows you to send yourself posted pictures, post them on Facebook and share them on Twitter, but not a way to display on a blog. Snapwidget does. 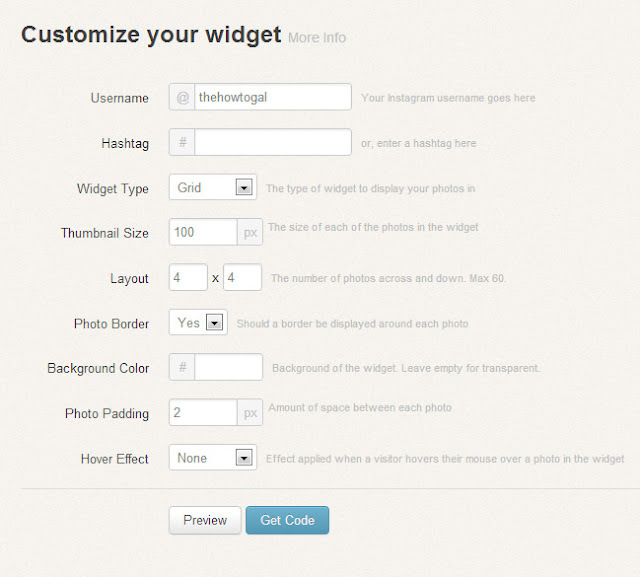 Head to Snapwidget's website to customize your widget. 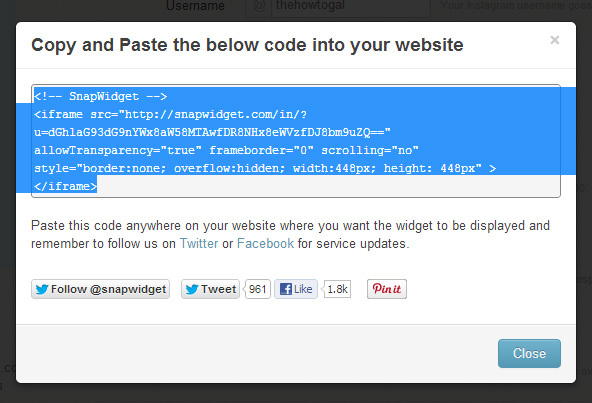 Here you can enter in your username or a specific hashtag you would like to display on your blog. 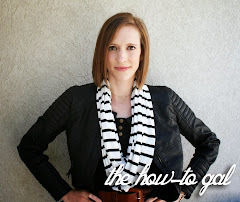 Copy and paste the code into your blog. Click on the "Get Code" button to retrieve the code. Copy the text and paste it into the HTML portion of your blog.